On August 1, 2016, Baltimore County police arrived at the Randallstown, Maryland apartment of 23-year-old Korryn Gaines to serve a warrant alleging that she had failed to appear in court. Gaines, who had miscarried twins as a consequence of improper treatment while being held in connection with a traffic stop, had received paperwork for the stop that did not provide the date on which she was expected to appear. A month prior to the day officers descended on her home, Gaines had visited the police station seeking clarification about her court date, only to be told that the officer who had issued the paperwork was unavailable. When Gaines noticed police attempting to force entry that day in August, she sat down in her living room with a legally owned firearm, and a 6-hour standoff ensued. Gaines had amassed a sizable online following via her activism and poetry, and narrated the sequence in real time on Facebook Live until the social media portal shut her page down per police request. During the 6-hour standoff, Gaines relocated to her kitchen, at which point Officer Royce Ruby, Jr. fired at Gaines from outside her apartment. Officer Ruby then entered the apartment and shot Gaines three more times. One of the bullets passed through Gaines and wounded her young son, who survived but sustained lifelong disabling injuries. County prosecutors concluded that the killing of Gaines was justified, and Officer Ruby was not criminally charged. Pundits and critics have foregrounded Korryn’s possible mental impairment, her gun ownership, and her ideology as reasons to paper over the possible intersectional vulnerabilities that contributed to Korryn’s killing. 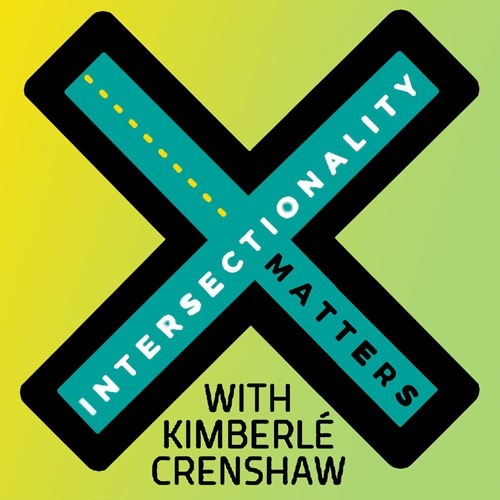 In this riveting and morally urgent episode of Intersectionality Matters!, host Kimberlé Crenshaw sits down with Rhanda Dormeus, Korryn’s mother, to reveal the untold story of Gaines’ death, the blatant miscarriages of justice that led to it, and the harrowing consequences of Officer Ruby’s authorization to take the life of a mother in her own home. Dormeus’s story plumbs the very depths of unfathomable grief and raises deeply disturbing questions about whether the sanctity accorded to most human life is withheld from Black women and their families. Dormeus has reaped some positivity from tragic topsoil by becoming a leading voice in the Say Her Name movement, a campaign to shine light on Black women who are the underreported victims of police violence. Intersectionality Matters! is recorded and produced by Julia Sharpe-Levine. This episode was edited by Julia Sharpe-Levine and Alex Schein and recorded by Stacia Brown, Rebecca Scheckman, and Julia Sharpe-Levine, with consulting help from Thea Chaloner. Additional support was provided by Janine Jackson, Naimah Hakim, G’Ra Asim, Kevin Minofu, and Madeline Cameron Wardleworth. Learn more about Korryn’s story and the #SayHerName Campaign at aapf.org/podcast. Sign up on Patreon (patreon.com/intersectionalitymatters) for bonus content from this interview.